Punta Rat beach is a distinguished symbol of Brela, small tourist town of Makarska riviera. The Blue flag was awarded to this beach in 2007 as a symbol of crisp clean sea and clean environment. Forbes magazine made a list of top world beaches of “which Americans have never heard of” in 2004. They avoided already famous destinations and tried to discover new interesting places. Brela and Punta Rat beach came at 6th place. The beach is pebbly with sandy shoal, surrounded by forest which ideal to get away from the heat. There are also several bars there, which are also ideal for refreshment. 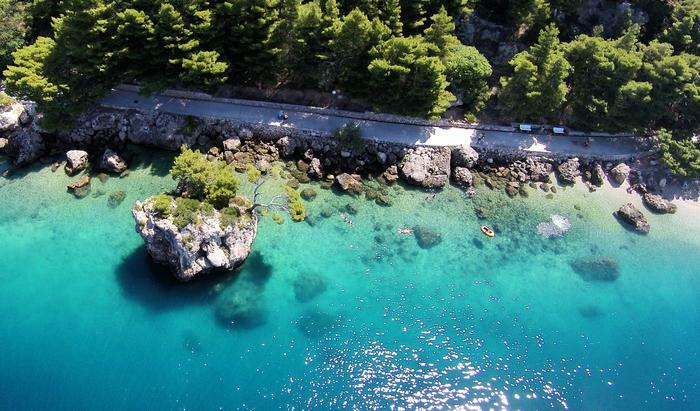 Brela as a tourist town have all predispositions to realize many more successful seasons: intact nature, great offer of nightlife in Makarska, weather is almost always good for enjoying summer treats, and the sea is crisp clean.